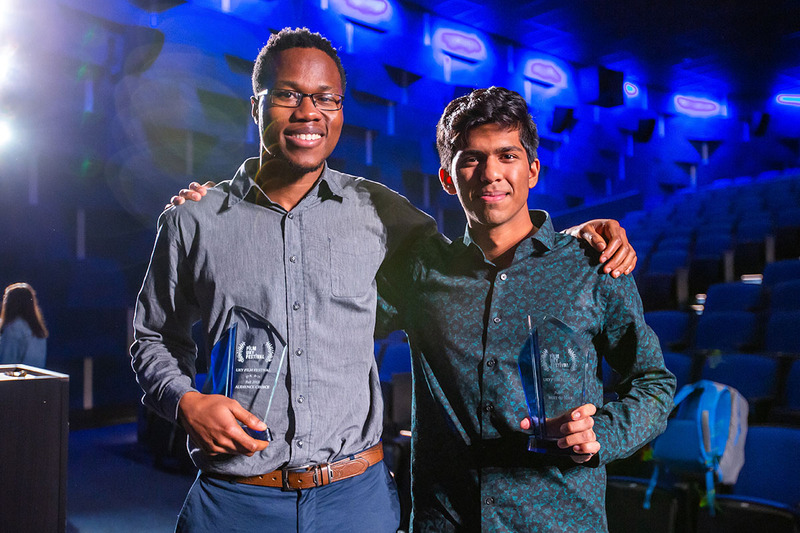 Monon Rahman (right) won "Best of Show" for "The Void" at the UKY Film Festival. As team manager for the UK Solar Car Team, mechanical engineering senior Monon Rahman is a familiar face around campus. Recently, he won an award for something non-engineering related—filmmaking. “The Void,” an eight-minute film written and directed by Rahman, won “Best of Show” at the UKY Film Festival. The annual event showcases and celebrates the films created by University of Kentucky students. The UKY Film Festival is the only university-wide film contest open to any student regardless of major. The films are scored by a variety of local media professionals and campus representatives. Awards are given to the filmmakers with the highest point totals in the opinion of the judges. This semester, the festival received over 20 submissions. The UKY Film Festival is supported by UK Information Technology Services, the Bill Gatton Student Center and the UK College of Engineering. A full list of films can be found here.